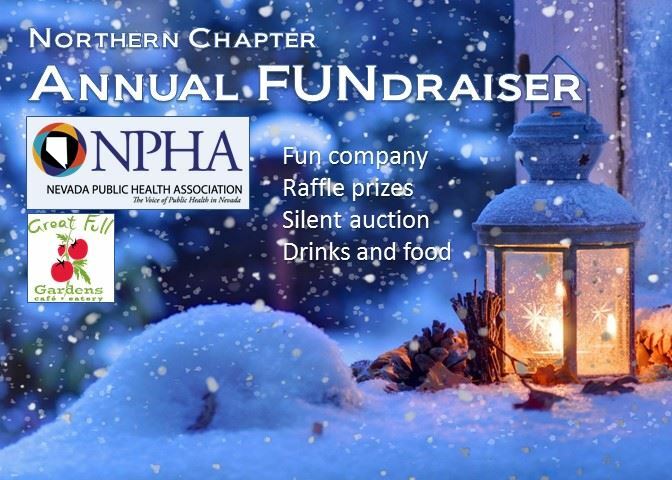 Join us for the Northern Nevada Chapter's annual holiday FUNdraiser! Friday, December 2 at 5:30 PM. Enjoy good company, food and drinks, and silent auction items! Contact Laima Etchegoyhen at laimae@med.unr.edu, or Kelli Goatley-Seals at kelliseals@unr.edu for more information.